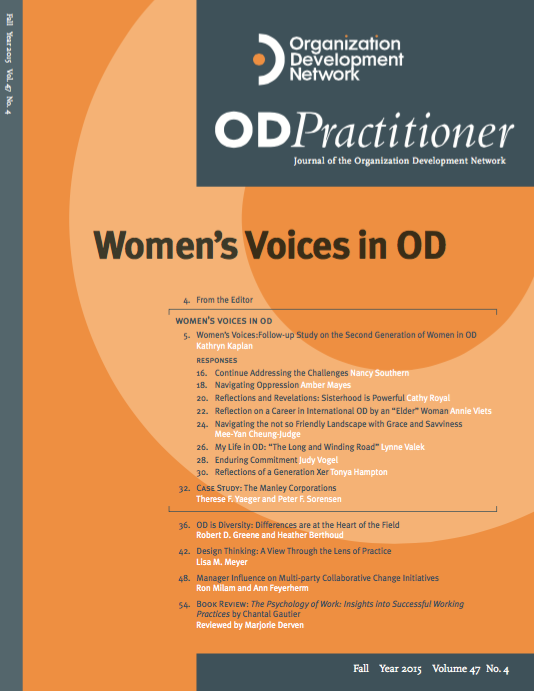 I’m pleased to share key findings from my masters thesis on managing collaborative change in the OD Practitioner, a peer-reviewed quarterly journal of the OD Network. 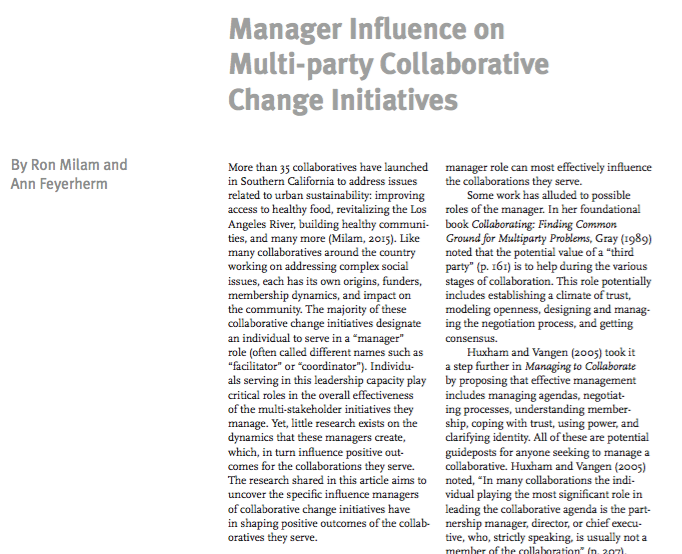 My article looks at manager influence at six Southern California collaboratives, which is a role I’m now serving for the LA Funders’ Collaborative. If you would like a copy of the article, please contact me. Ron Milam, MSOD, works to transform the Pacific Coast into a sustainable region through leadership and organization development for collaborative change initiatives. Since 2005, Ron has served over 150 clients as an organization and network development practitioner. 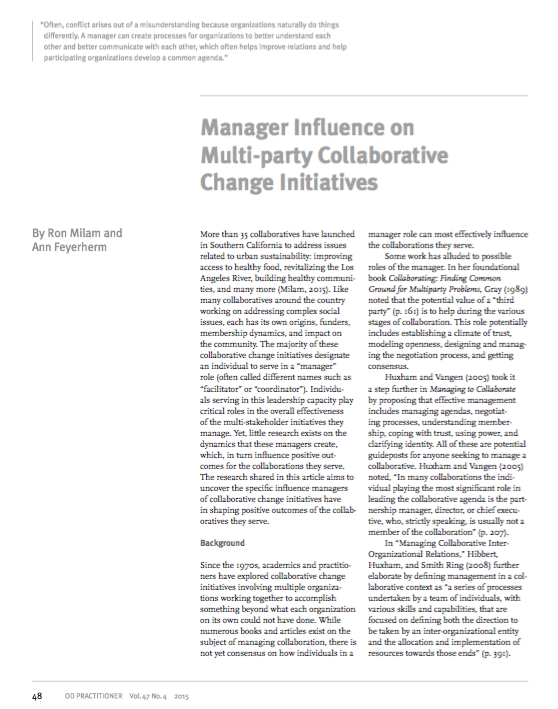 This entry was posted in Collaboration, Sustainability and tagged #Nonprofit, #NPLA, Clients, Collaboration, Community, Facilitation, Leadership, Leadership Development, Organization Development, Sustainability. Bookmark the permalink.